YOU'VE HEARD OF MUSICAL THEATER. WE BRING YOU THEATRICAL MUSIC. The Harvard Pops Orchestra is a full symphonic orchestra producing two major concerts a year. Our repertoire ranges from popular music to film and show tunes, along with a healthy dose of classical. But in addition to the music, each of our shows has a plot and features student singers and actors. It's great fun, so what are you waiting for? Check out the concerts page for information on our next show, and if you can't wait until then, feel free to browse some of our photos or videos of past concerts in the meantime. 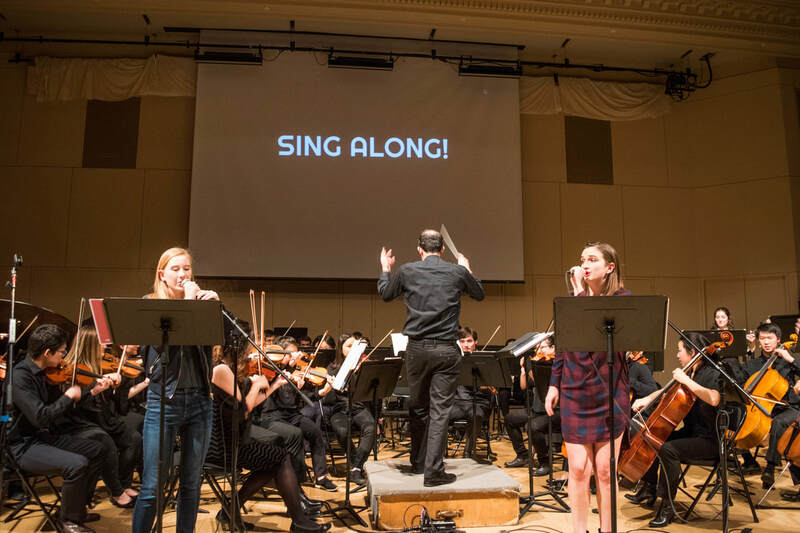 POPS is the most fun, and exciting orchestra at Harvard!